Surgical Neck Lift is a cosmetic procedure designed to lift sagging facial tissue and restore youthful contours to give you the look that is more consistent with how you feel. Dr Ehsan Jadoon has successfully performed countless Neck Lift surgeries and is known to achieve natural looking results with high patient satisfaction. Mini Neck Lift is probably best suited to a person who is contemplating a serious facial rejuvenation procedure with visibly significant and longer lasting results. The procedure is designed for patients who have started to notice sagging of the face and neck, but want something more substantial than dermal fillers ( Liquid Face Lift) and thread lift techniques. Mini Neck-Lift surgery can be performed under local anaesthesia as a day-procedure without the requirement for hospital admission. It can also be performed under general or twilight anaesthesia in an accredited day hospital. What are the 2 main types of Neck Lift surgeries? The thin superficial muscle enveloping almost the entire front half of the neck is called Platysma muscle. Platysma muscle sits right under the neck skin and is very prone to getting loose and saggy with time. This surgery is often carried out in conjunction with the Facelift Surgery. Incision is made behind the ears extending into the hair line. Platysma muscle is identified and pulled upwards and tightened using surgical sutures. Any excess neck skin is also pulled up and excised after that. Mini Neck Lift is a relatively quicker procedure to perform. On average it takes under two hours when done alone. It is tolerated quite well by the patient and there is significantly less risk of DVT and other potential complications often associated with General and twilight anaesthesia. We routinely perform this procedure under local anaesthesia while patient is awake. What are the potential risks of General & Twilight anaesthesia? Respiratory depression, cardiovascular compromise and increased incidence of Deep Vein Thrombosis (DVT) are the relatively common risks. I hate pain! Is this procedure Painful? Very few people like pain. Hence we make every effort to ensure that any procedure we perform is associated with minimal pain or discomfort. Once the treatment area is anaesthetised, patients are not able to feel anything. We also offer this procedure under Sedation in an accredited Day Hospital in Subiaco, if the patient prefer to be asleep during the surgery (Additional costs are associated). Most people tolerate Mini Neck Lift extremely well. Since no general anaesthesia is administered; patients are able to go home straight after the surgery and do not required prolonged post-surgical hospital admission and monitoring. When would the sutures come out? The non-absorbable skin sutures are usually taken out at day 7, provided the wound has healed reasonably well. Would there be any scars? We recommend avoiding any strenuous physical activity for first 2-3 weeks after any surgery. Light exercise is allowed after 2,3 weeks. Mini Neck Lift costs $7500 as a stand alone procedure when performed under local anaesthesia. Most people opting for a Mini Neck Lift may also be candidates for some other cosmetic procedures such as Facelift, facial fat grafting or fillers, brow lifts, eye lid surgery, and skin resurfacing. How Long would the results last for? Facial ageing is a continuous and dynamic process. 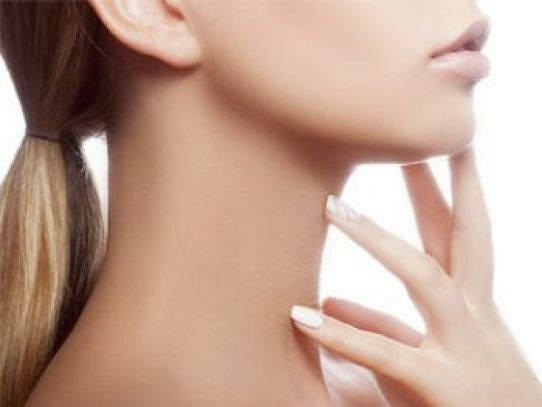 The results of Mini Neck Lift in an average person last for up to 10 years or more. I have booked my surgery; how do I prepare? Avoiding blood-thinning medication such as Nurofen, Aspirin, Heparin etc. Please discus this with your GP in detail and make sure you are aware of any side effects of the medications you are currently on. Herbal medication and nutritional supplements such as St John’s Wart, garlic, ginger, gensing, homeopathic or herbal tonics, fish oil etc has to be stopped for at least 2 weeks before surgery. These substances are known for their potential to thin blood and may cause excessive bleeding during and after the surgery. This prevents excess bleeding during the procedure and reduces post-surgical swelling and bruising. Alcohol and cigarettes are two main culprits when it comes to excessive bleeding during or after any surgery. Please avoid these harmful agents for at least 2 weeks (preferably more) prior to any surgery. Alcohol and cigarettes interfere with the normal healing process, increase the risk of potential complications and prolong the recovery time. We recommend that you organise a friend or family member to give you a lift back home as driving is not recommended for first few days after the eyelid surgery. You also must consider organising a family member or friend to stay with you for first 3 days after any surgery What can I do to improve my recovery? Healthy lifestyle and balance, nutritional diet after surgery is essential for optimum healing.